Dengue, Chikungunya, Yellow Fever and Zika virus are rapidly spreading in tropical regions throughout the world. Their vector, the Aedes mosquito, is difficult to control as it divides its eggs over various small and hard to find breeding sites and has become resistant to chemical insecticides. 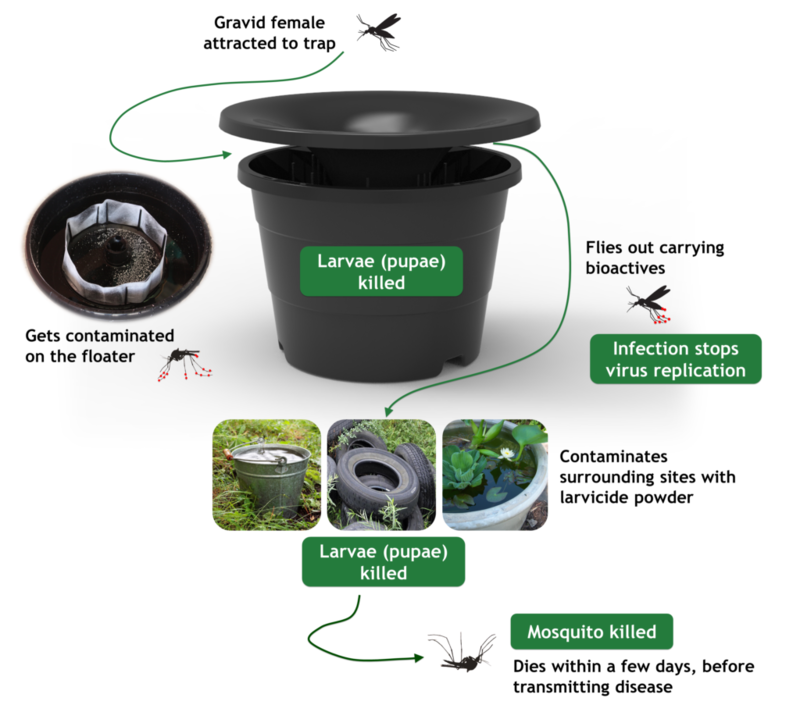 The In2Care Mosquito Trap effectively attracts and kills Aedes mosquitoes with novel and green ingredients that target both larvae and adults. Trap activity is not limited to the trap itself, but extends to the surrounding area. Click to open our detailed In2Care Mosquito Trap information factsheets in English, Spanish, Portuguese and French. Robust design. Works without much care and hassle. Durable and sturdy hardware. Using the mosquito itself to kill other mosquitoes in its neighbourhood. Lab and field data show that it can be used to control dengue mosquitoes. The In2Care® Mosquito Trap is made of durable polyethylene components, and consists of a lid, central tube, click-on interface and reservoir. A floater moves along the central tube with the water level and serves as the landing/resting site for mosquitoes. Female mosquitoes are attracted to the trap by adding a tablet with attractive odours to the water. When a female enters the trap she lands on the floater covered with a gauze strip that binds a mix of biological agents with specific modes of action. All biological agents are in use for pest control and are US-EPA approved. 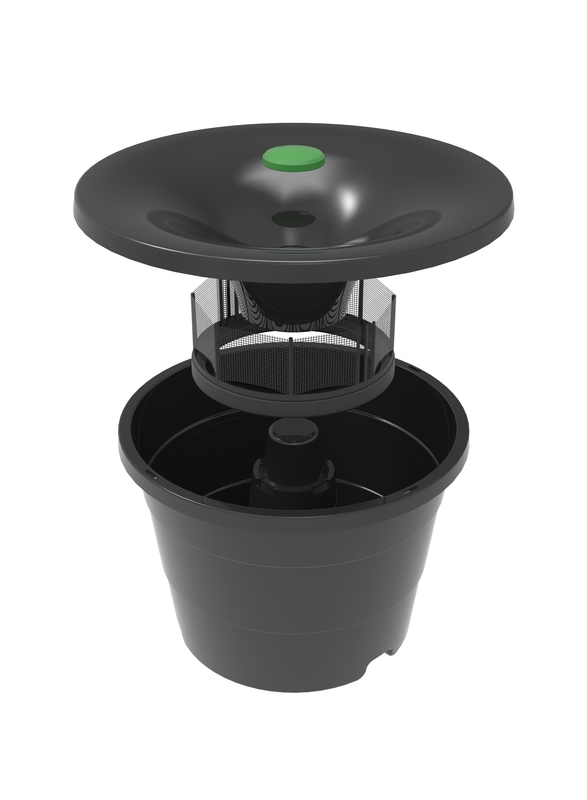 The patented In2Care® Mosquito Trap provides an attractive breeding site for egg-laying Aedes mosquitoes. When a mosquito enters the trap she lands near the water on the floater gauze that binds two actives. The first is a growth regulator that kills the mosquito larvae in the trap and in surrounding breeding sites. The second active is a biological fungus that weakens the mosquito, prevents virus development, and kills the mosquito before she can transmit diseases.